Geek Grotto - Get Your Geek On! 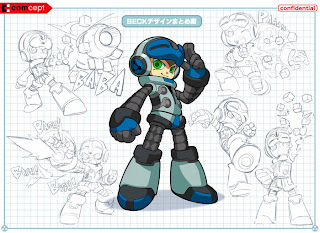 : Mighty Number 9.... Delayed Again. Mighty Number 9.... Delayed Again. In something that is finally starting to frustrate me, but has frustrated everyone else LONG ago, Mighty Number 9 will not make it's February Launch date, pushed back to "Spring." As we all know, that means April-June. Now if you just preordered, this isn't much of an issue, but for KickStarters, we are already about a year late (if not more). Current problem is blamed on it's Netcode and the version of the Unreal engine they are using no longer being officially supported. Full message from Keiji Inafune after the break.